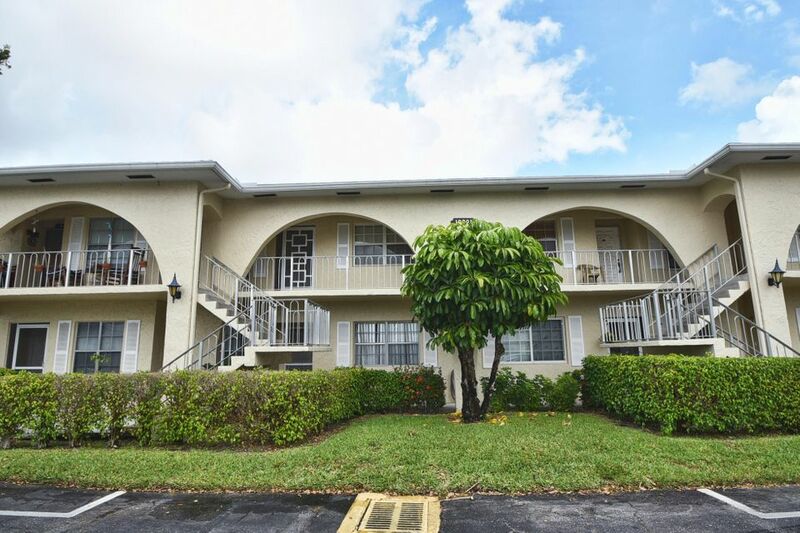 AMAZING GROUND FLOOR CONDO LOCATED IN PALM GREENS AT VILLA DEL RAY CONDOS! THIS MOVE-IN READY CONDO FEATURES TILE & CARPET FLOORING, AN EAT-IN KITCHEN & SEPARATE DINING AREA, OPEN LIVING ROOM AND A GREAT ENCLOSED PATIO. ENJOY WONDERFUL AMENITIES AND ACTIVE LIFESTYLE WITH COMMUNITY POOL, GYM, TENNIS & GOLF. DON'T MISS OUT ON THIS SPECTACULAR CONDO!